Rob Page suggested there are likely to be changes for Northampton’s trip to Bradford City on Tuesday after the Cobblers boss defended his team selection for Saturday’s defeat to Peterborough United. Without JJ Hooper, Page again elected for his favoured 4-3-3 system for the visit of Posh but chose to move Sam Hoskins out wide and stick with John-Joe O’Toole and Matty Taylor in midfield for the visit of Posh. Northampton were far from outplayed and created enough chances to win an even game prior to Chris Forrester’s 92nd minute winner. But, at times, Northampton’s shape represented more of a 4-5-1 with lone front man Alex Revell frequently left stranded and without support from midfield, which often allowed Peterborough to easily win the ball back and maintain possession. But Page defended his tactics afterwards and instead laid the blame on poor decision-making on the pitch. “I wanted to get the best players on the pitch,” he explained. “I couldn’t leave John-Joe out after last week’s performance and Matty Taylor’s quality speaks for itself. “We wanted to exploit their left side because we felt that was a weakness and with Sam and his pace we wanted to get him on the ball. “That was the thinking behind it – it was still a 4-3-3 and that’s what we’ve done all season. “I thought we created enough chances and I can’t remember any chances they had aside from the goal. “The plan was working with regards to them playing longer balls and we created a couple of half chances and on the break we looked dangerous. Saturday was the third time already this season that the Cobblers have conceded a stoppage-time winner, but Page insisted that it’s not a fitness issue on Northampton’s part. He added: “I know it’s not fitness because they’re a fit bunch of lads – it’s just switching off and decision-making, concentration and seeing the game out. Again we’re talking about conceding a late goal but the good thing about that is there’s decisions to make and I can influence that and have a say in what goes on and I will do. 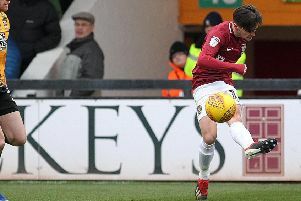 Northampton now face two tough games in four days, first heading up to fourth-placed Bradford City on Tuesday before third-placed Bolton Wanderers visit Sixfields on Saturday. And Page hinted he may shake things up for the clash at Valley Parade. He continued: “Again we’re talking about conceding a late goal but the good thing about that is there’s decisions to make and I can influence that and have a say in what goes on and I will do. “We can’t feel sorry for ourselves. We’ve got a game on Tuesday and we have to make sure we put it right. 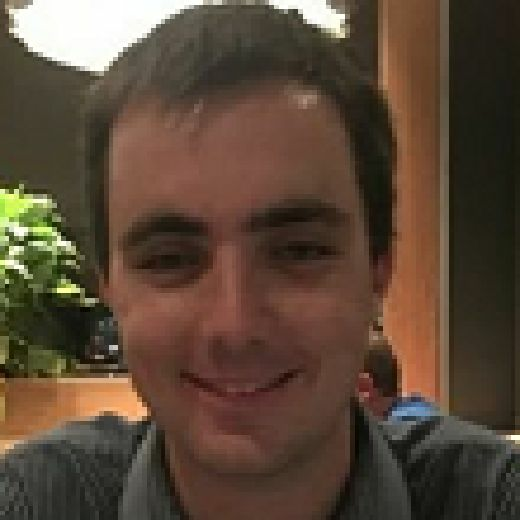 One player unlikely to feature on Tuesday is Zander Diamond whose participation in Saturday’s derby was curtailed by a gruesome-looking eye injury. Page said: “He’s got an indentation in his socket which isn’t looking great for him.